MORE fun from HAPPFACTORY x Kaiju One! showing off their latest soft vinyl craziness coming out from Kaiju One! 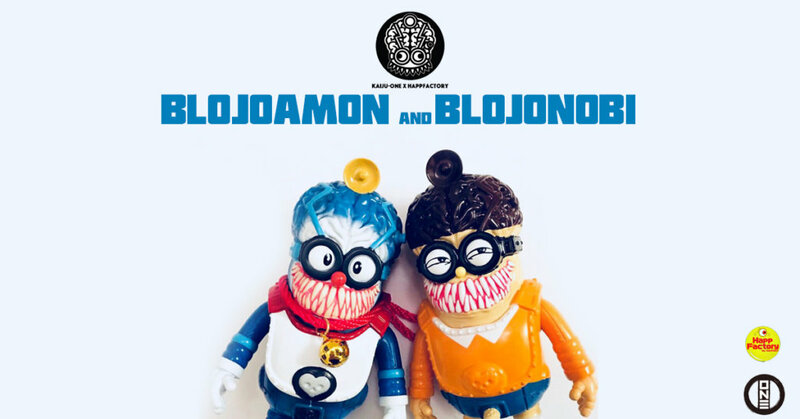 A totally different concept from Kaiju One as they partner up with HAPPFACTORY once again to present to you alternative edition of their “BLOJOBOT” now MEET BLOJOMAN ( 微炮兵團X號 – 神奇小J) HAHAHAHAHA sorry we can’t stop laughing. There take on Doraemon colour scheme? Anyway, the figures are around 6 inches of fun and will come with one FISH and one CHROME sticker. Released online at https://kaijuonehk.bigcartel.com/, priced at $150 USD per set.